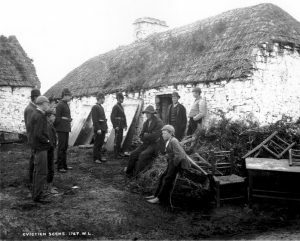 Findmypast Ireland has an unusual set of records that could help you determine if your Irish ancestors had been evicted tenants. The collection of Applications from Evicted Tenants offers a wealth of useful information including names, addresses, and circumstances of the applicant. Findmypast.ie has a collection called Applications from Evicted Tenants. It includes 2,500 records from the Estate Commissioners Offices, Applications from Evicted Tenants (1907). The records provide a rare insight into eviction by listing applicants from evicted tenants from some of the most impoverished areas of Ireland, with extensive information about their circumstances. * The circumstances of the applicant and additional observations. Irish Central states that the Evicted Tenants (Ireland) Act, 1907, sought to provide evicted tenants with some relief. The people who were being evicted were tenant farmers. 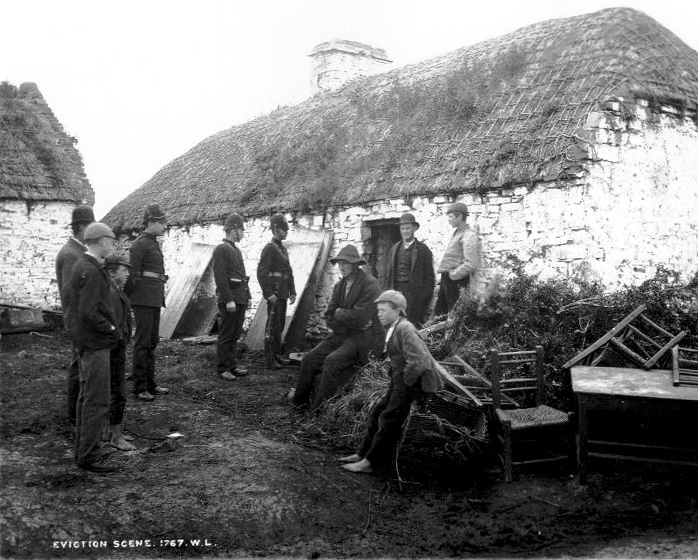 According to HistoryHomeco.uk, the greater part of the land in Ireland was owned by men who rented it out to tenant farmers rather than cultivating it themselves. Somewhere between the land owner, and the tenant farmers, was the landlord. This was so up until about 1900. A blog called MaggieBlanck.com provides more details. Most of the tenant farmers were “tenant at will” and held no lease on the land. They could be evicted at any time, and had no recourse in disagreements with the landlord. Some landlords evicted tenants because the landlord realized he could make more money from grazing than from the rents of the tenant farmers.